Fashion is a form of expression and as Designer Prabal Gurung told the Washington Post recently, during the NY Fashion Week, “fashion gives a platform, a way... to speak to issues that are important...”. Gurung has focused on gender inequality for the past few years. We were therefore drawn by his inspiration for the Fall 2018 collection (not to mention his statement t-shirt!). Gurung's main sources of inspiration were the Mosuo Tribe in China and the Gulabi Women in India, two female dominated societies. The Mosuo tribe is one of the few matriarchal societies in the world and the Gulabi Women are a group of empowered female activists whose mission is to change the unchangeable and fight gender inequality through unified social action. The quilting technique with the heavy layering of fabrics that the Mosuo use in their clothing and the bright pink sarees of the Gulabi activists made an unmistakable statement in Gurung's Fall 2018 ready-to-wear collection. Pink is a traditional symbol of femininity, but the designer repurposed the color very creatively. 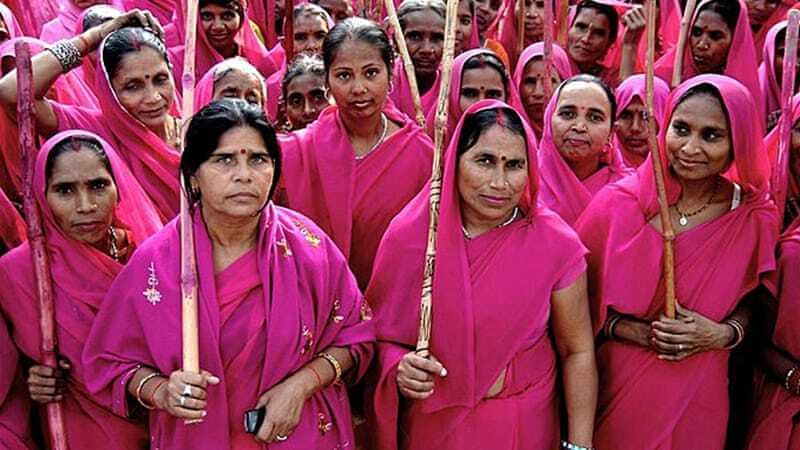 He chose the close relatives of pink, red and purple, to represent the power of women around the world. 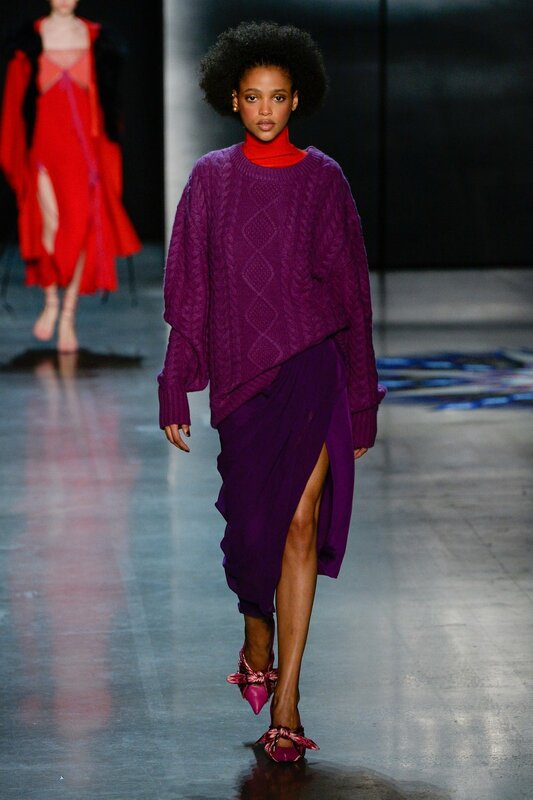 We love the bold use of sweaters and knits with the more feminine draped pleats on the skirts. The above looks were created using a draping technique often seen in the Indian Saree. Fabric is typically wrapped around the body with pleats at the waist and on one shoulder. These looks seamlessly combine modern Western pieces with Eastern draping techniques to create a cohesive, powerful, and feminine look. The stronger shades of pink add a powerful touch. These looks explore aesthetics created using a quilting technique. You know, the kind of quilt that goes on your bed and keeps you warm in the winter. Ever thought about using quilting techniques in your fashion designs? We love how Prabal Gurung uses this traditional Chinese patchwork technique, the traditional flower patterns and the color red, a close relative of pink, from Chinese culture, to create modern, contemporary, powerful and shall we say Stylish looks! Like to empower your kids? Want to unleash their creativity? Have them join in the fun and participate in our first ever DesignX@Home challenge for a chance to be featured on DX Social Media! In celebration of Women's History month, for our first ever DX challenge we’d love your budding designers to create a look that inspires them to believe in the power of girls and women. Consider drawing inspiration from other cultures and clothing styles. Choose a variety of fabrics and textures. Try various pleating techniques. Play around with colors. To enter, you must be under 16y. Send three photos of your design (front, back and side) to Nicole@designx.company. Post your photos on Instagram with #DesignXatHome. Be sure to follow @DesignXcompany for the announcement. Here's a video of some pleating techniques that kids could try at home to create their powerful looks for the Women's History month.